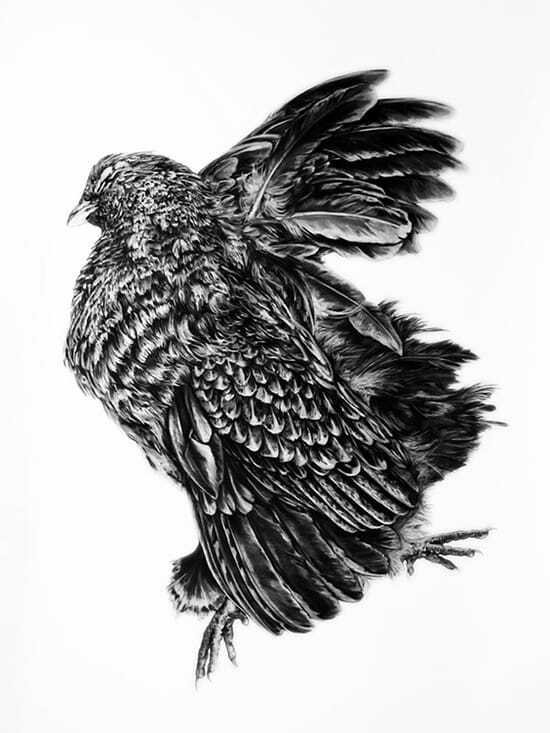 Kate Puxley is an artist based in Montreal, currently working mostly in taxidermy and charcoal. 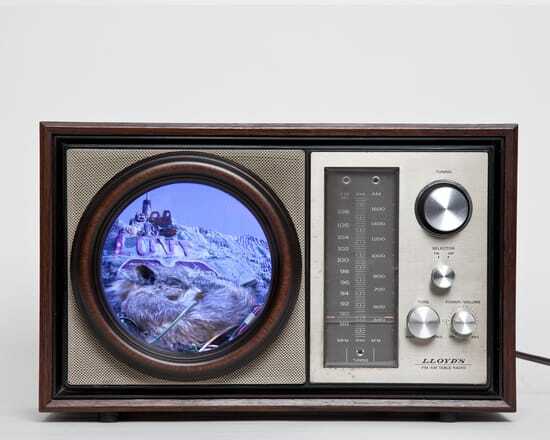 She is known for her unique ability to combine everyday objects and “found animals” to create works that challenge the viewer to think about the relationship between the natural and man made worlds. Kate has painted with in Art Battle 4, as well Art Battle 48, and tonight we welcome her back to the easel for Montreal’s very first Art Battle, AB53. What are the most common themes present in your work? One of the defining characteristics of being human is the way we encompass and embrace dualities: two equal forces pulling in opposite directions. 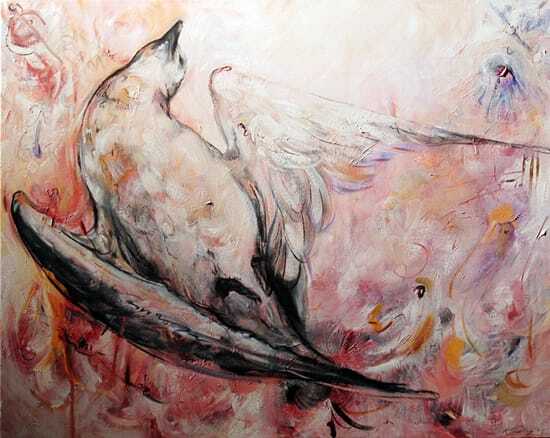 I am keenly interested in these opposing forces and to that end direct my work to such themes as: repulsion and attraction to death, the superficial and the real, and our dualistic and very complicated relationship with animals. Why is creative expression an important aspect of your life? I think creative expression is important in everyone’s life. We are all creators in one capacity or another. However we live in an age where many seek to quell the creative spirit. I work best using a visual language to express my own unique perspective. I can’t imagine doing anything else. Artists, like scientists are just offering new ways of viewing and understanding the world. What first drew you to taxidermy? 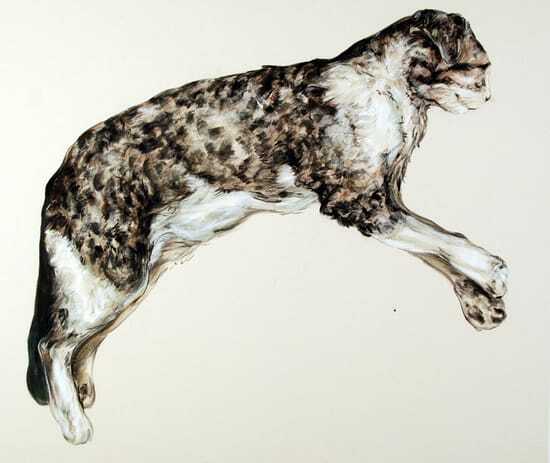 My first encounter with road kill was at the age of seven – poking, prodding, and finally taking home the paw of a roadside casualty. The clashing of fur and steel affected me deeply, while the paw provided hours of drawing practice and was a source of awe. From then on, I was keenly aware of roadside carnage and its place in our landscape. 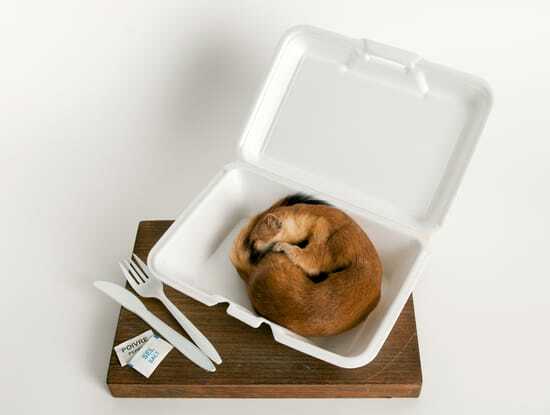 Taxidermy allows me to examine the uneasy relationship between post-modern human society and the natural environment – and to do this through allegory, irony, and humour. For ethical reasons, the animals I use in my work are ‘found’. 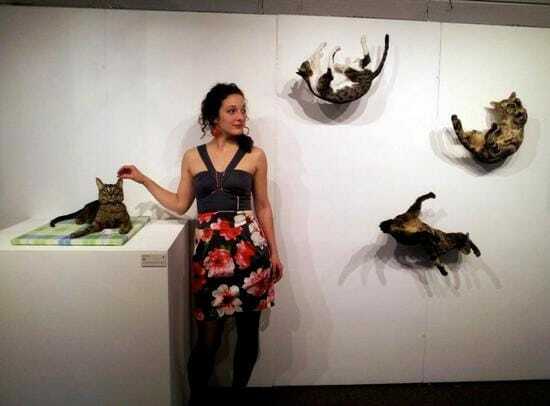 My research in taxidermy has taken me to the World Taxidermy Championships in the U.S and Austria, as well as Natural History Museums in Europe and North America. I am fascinated by taxidermy in all its various facets and uses, both historical and contemporary. Collections, trophies, and dioramas are all areas I enjoy exploring. 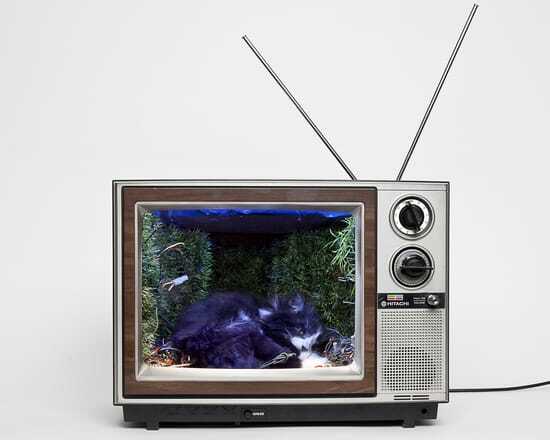 I’m currently working on a series of dioramas installed inside of old television sets and radios. 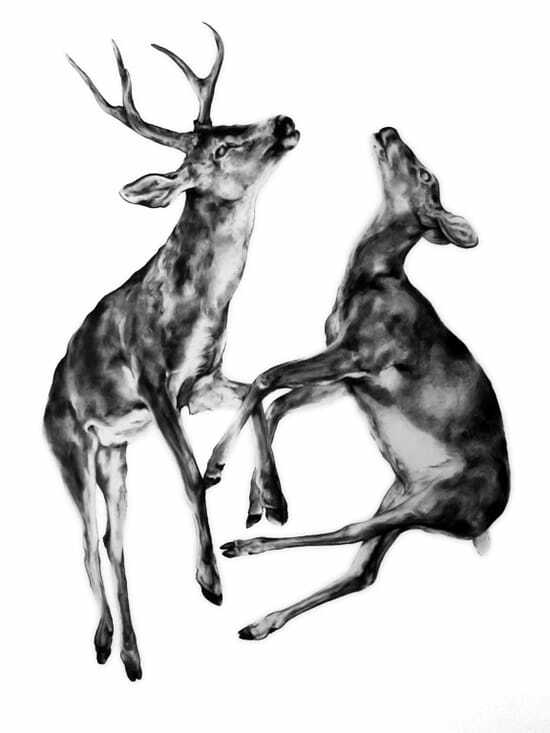 I’ve also just rediscovered my love for etching and am working on a bestiary of roadside tragedies. My work will be exhibited at The Darling Foundry in Montreal for the art festival ‘Chromatic’ on May 18th, alongside other very talented artists. Of the places you have lived and travelled, which has been the most impactful on your practice? Every place has had an impact on my practice. Toronto exposed me to so many diverse cultures, Ottawa fueled the political side of my work, Nova Scotia indulged my curiosity with nature, while Montreal allowed for total freedom of expression. Italy was the most life-changing. At the beginning of my time there, I was high on romanticism, renaissance sculpture, and Italian food. But, near the end I had grown much more cynical. Under the mask of ‘La Dolce Vita’ was a much darker face. I gained a more critical eye on international policies as well as my own country’s hypocrisies. Where did you first hear about Art Battle? What has your AB experience been like? I first heard about Art Battle through my best friend, the very talented painter Julie Gladstone. We went head-to-head in one of the first Art Battles. My heart was pounding! It was thrilling and a totally new approach for me. My art practice is incredibly time-consuming. To have only 20min to produce an artwork is a huge challenge for me. For first time Art Battle painters, what is your best Battle tip? Be Zen and have fun. Kate Puxley will be competing in Art Battle 53, Bataille d’Art, Tuesday May 7 at La Salla Rosa, Montreal.